What a great day for NBC sitcoms! Mark this day down, Wednesday, January 18th, because on this day, it was announced that both Will & Grace and another much-beloved Thursday night Must See TV show would be returning to the small screen! Wow, never would have guessed that 2017 would be the year that both Karen Walker and Dwight Schrute share a night again. 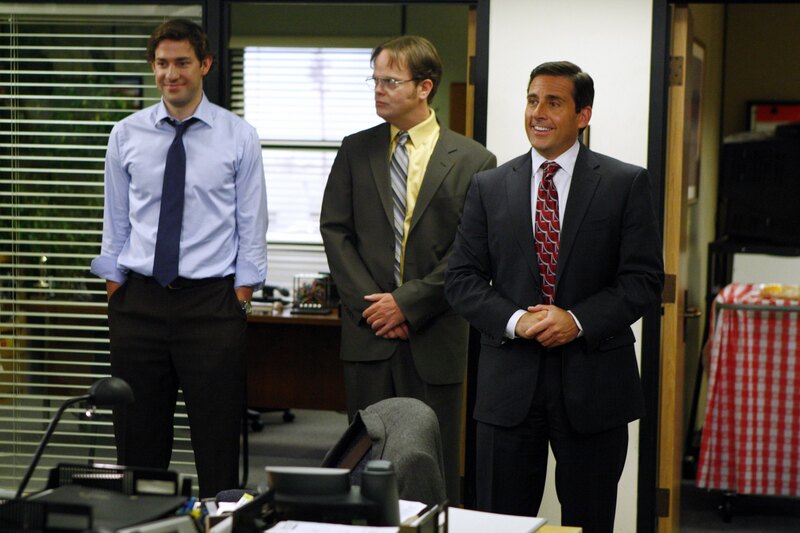 STEVE CARELL SAYS THE OFFICE IS COMING BACK, SO THE OFFICE MUST BE COMING BACK, OKAY? But also he’s like, way too early for April Fool’s Day, because a mere six minutes after he tweeted that The Office is coming back, he corrected his prior statement. It’s not The Office, it’s actually Will & Grace and WOMP WOMP. And two, it sure sounds like SOMEONE is a little bit upset HIS TV show hasn’t been brought back to life again. Okay, we get that. We get that Steve Carell is just sending some tough-love sass towards NBC. However, the internet was NOT OKAY with this joke whatsoever. Oh well. Maybe we’ll get the Office reunion we hope and pray for one day. And Steve? Don’t mess with our Dunder-Mifflin-lovin’ hearts again.